1960 Mercedes Benz 220SE Four Doors "Fintail" "Rallye Montercarlo" in 1960 the recently introduced to the world Market Mercedes Benz 220 SE W111 won the Monte Carlo Rally or Rallye Monte Carlo (officially Rallye Automotive Monte Carlo) this is a rallying event organized each year by the Automobile Club de Monaco which also organizes the Formula One Monaco Grand Prix, today is known as the Rallye Monte-Carlo Historique and the organization only allows models that have run in the past as a requirment to enter the Rallye. The rally now takes place along the French Riviera in the Principality of Monaco and southeast France. Previously competitors would set off from all four corners of Europe and 'rally' to meet in Monaco to celebrate the end of a unique event. From its inception in 1911 by Prince Albert I it was an important means of demonstrating improvements and innovations to automobiles which launched Mercedes Benz in this years new model increasing Sales of their new model 220 SE W111 heckflosse or Fintail, Driven by Schock Walter and Moll Rolf carrying the number 128 won the competition in 1960 followed by three more 220 SE for second, third and also fifth place was another 220 SE, this meant a lot for catapulting sales of this model in Europe at the beginning of its career, this 220SE has had one owner since 1960 and was acquired by the current owner 60 years later who wanted to enter with the same year and model as the predecessor, this car started as a regular car which underwent a complete nuts and bolts restoration to factory specifications and to rallye specifications on todays standards including ESPARCO racing seatbelts, everything is new on this car and it is very fast (for the type) and light weight, this 220SE is absolutely IMPECCABLE, it will please the most accurate Connoisseur, this is a must have for active collectors...VISIT OUR WEBSITE AT WWW.ADCOXIMPORTS.COM FOR MORE PICTURES!! 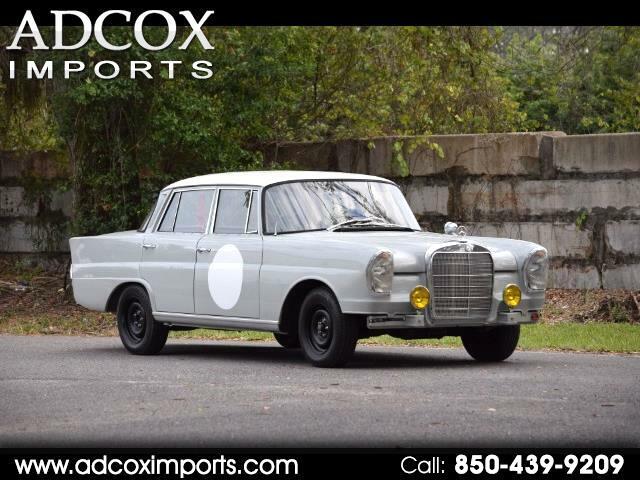 Message: Thought you might be interested in this 1960 Mercedes-Benz 220-Class.